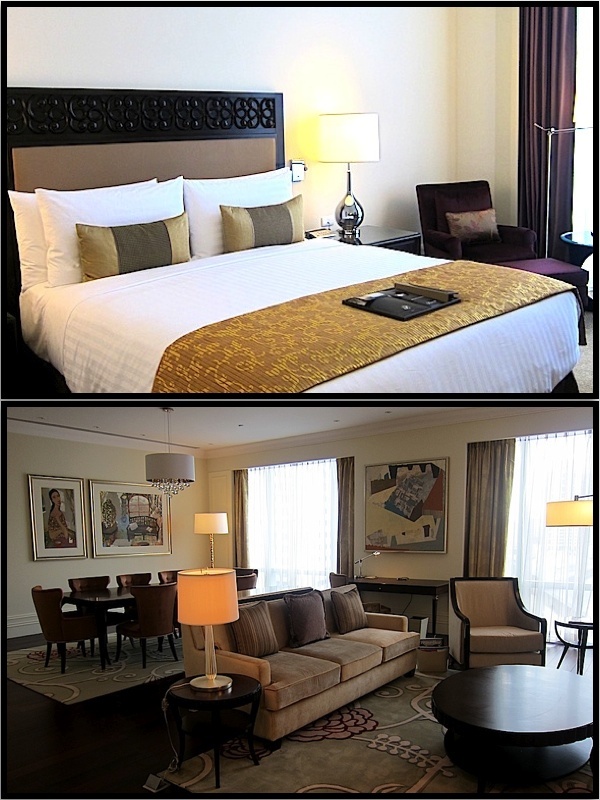 So what joy when Fairmont Raffles Hotels International opened the adjoining Fairmont and Raffles Hotels in Makati! And happily, their version of the hotel in this neck of the woods world does not disappoint. Nice and cozy. Perfect for the independent traveler. 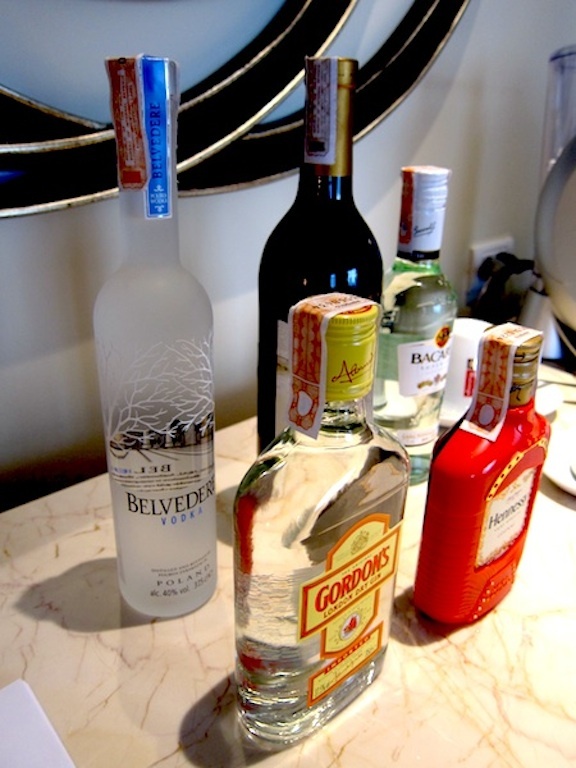 Only losers drink from itsy bitsy hotel room bottles, Raffles declares. But seriously, the attention to detail at this hotel is impeccable. 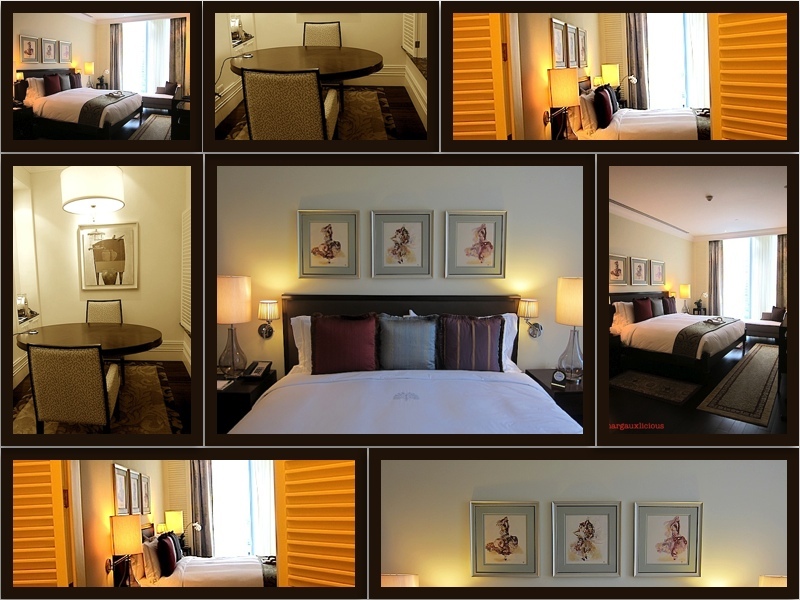 From the beddings to the mother of pearl detailing on the cabinets to the art on every floor. The chair below, for example, greets you as you land on your floor. This is no ordinary chair. And I wish I knew who the artist was. Same with the birdcage-like structures that are just resting by the elevator. Meanwhile the room’s mini-bar has these mother-of-pearl accents. And while SM’s Kultura may have imitations, you know this is the kind that is defined by quality. The lobby is also blessed with amazing art. Whoever the curator of Raffles is, hats off to you. At the Writer’s Bar, they have biographical art showing musician Levi Celerio. 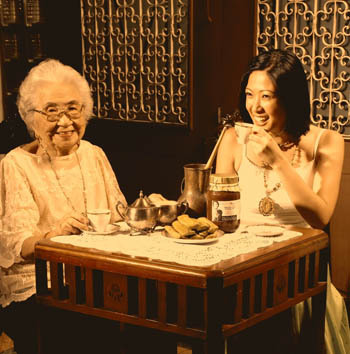 But the commitment to fine Filipino finds is not confined to the walls. The tribute extends to their menu! 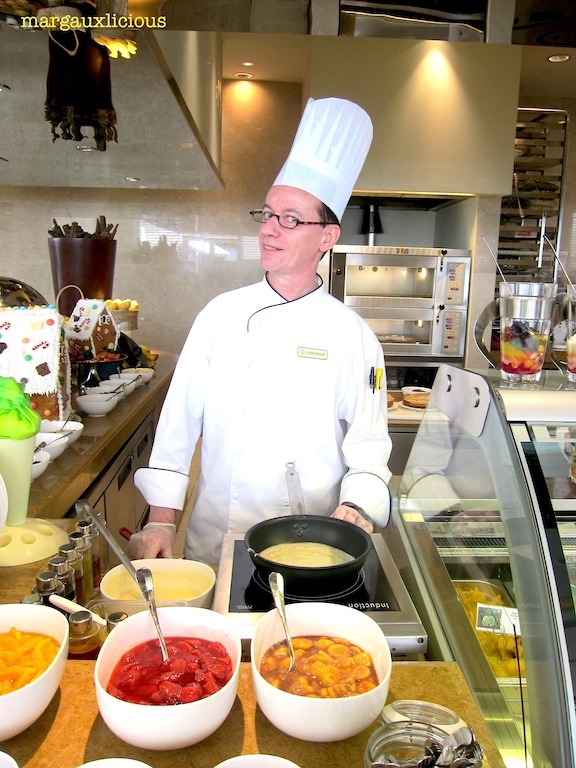 Didier Derouet, Raffles’ Executive Pastry Chef, is French. He was born and raised just off Paris although he worked for 20 years in the United States, serving no less than former President Bill Clinton at the St. Regis in Washington DC. But he married a Filipina, a Waray at that, and moved to the Philippines, where he has fallen in love as well with our produce! He fondly recalls, “I went to my wife’s province and looking around I saw mango, bananas, passion fruit, guava. ‘You live in a fruit basket!’ I told her.” He especially loves panocha, even more than muscovado. “I brought it once to the US and made banana bread with it and it was incredible!” Thankfully, Raffles allows him to play around with these flavors. 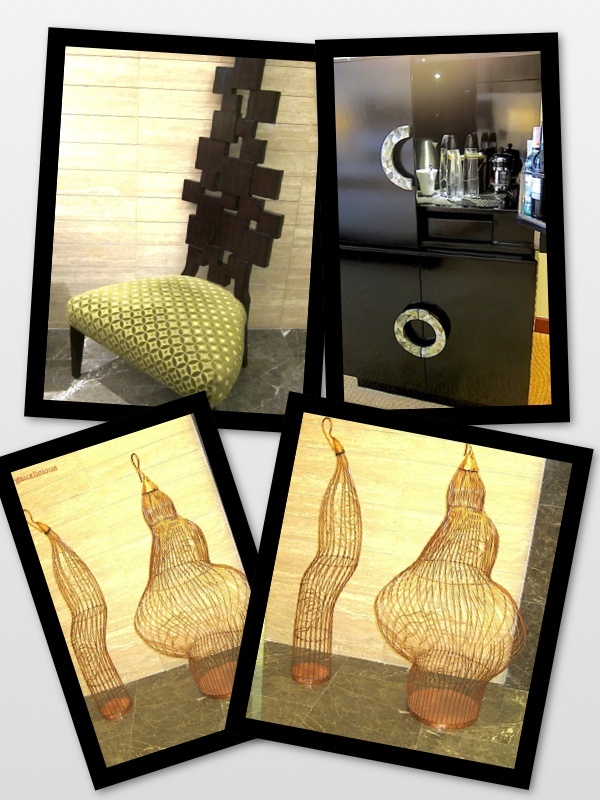 So at Cafe Macaron, the hotel’s patisserie, they serve ube macaron, calamansi guanaja, and buco pandan pralines. And the all day buffet Spectrum takes the hotel’s commitment to local produce a step further: in its center is a live beehive, with bees from Baguio a-buzzing as you pick up your glass of honey mascarpone! Beyond dessert, instead of California maki, Spectrum also offers lechon kawali sushi and bangus belly sushi. 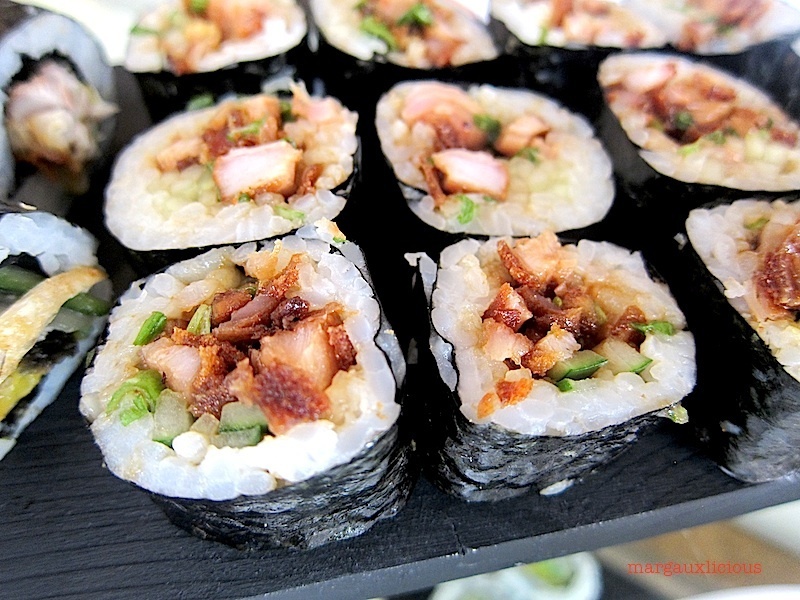 The lechon kawali sushi will make you smile at its cleverness: as you bite into it, while in your head you are expecting something Japanese, when you start to chew, there’s no mistaking that lechon taste – it’s all Pinoy! Meanwhile, at the other end of the hotel, there is Long Bar, a cult bar in Singapore most known for the Singapore Sling but also for the tradition of throwing peanut shelves on the floor in rebellion (rebellion na yun sa kanila) against the strict government policy prohibiting littering. In utter respect for the city they now also live in, Raffles Makati has created the Makati Luxury Sling, a sweeter, richer take on the Singapore Sling that boasts of 24K gold atop its foam (warning to purists: this is a very sweet drink!). 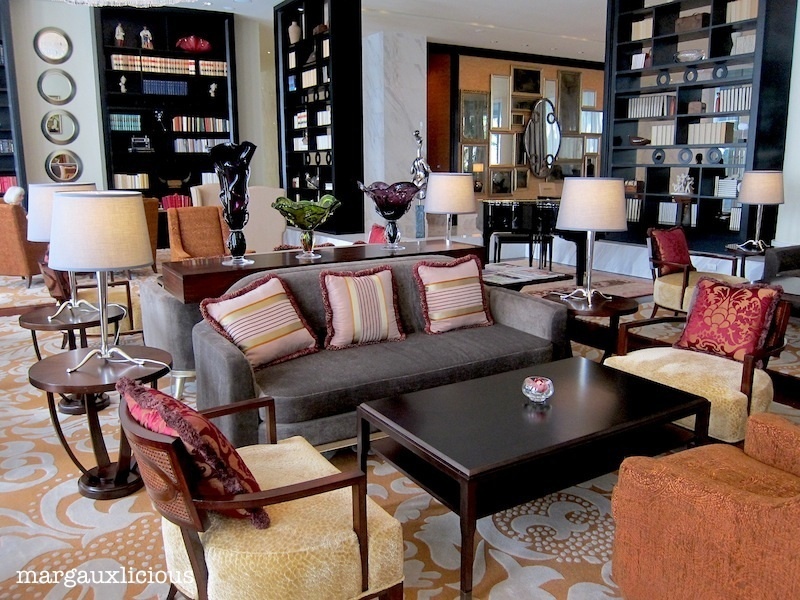 There is also the Makati Manhattan, which uses the proudly Pinoy Don Papa Rum. Of course luxury comes with a price. 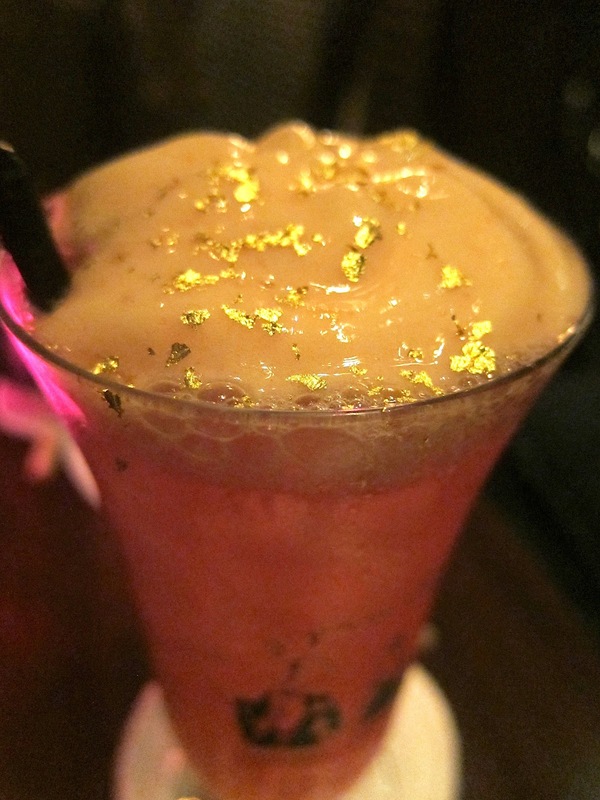 The Makati Sling is over P500 – it must be the 24K gold! 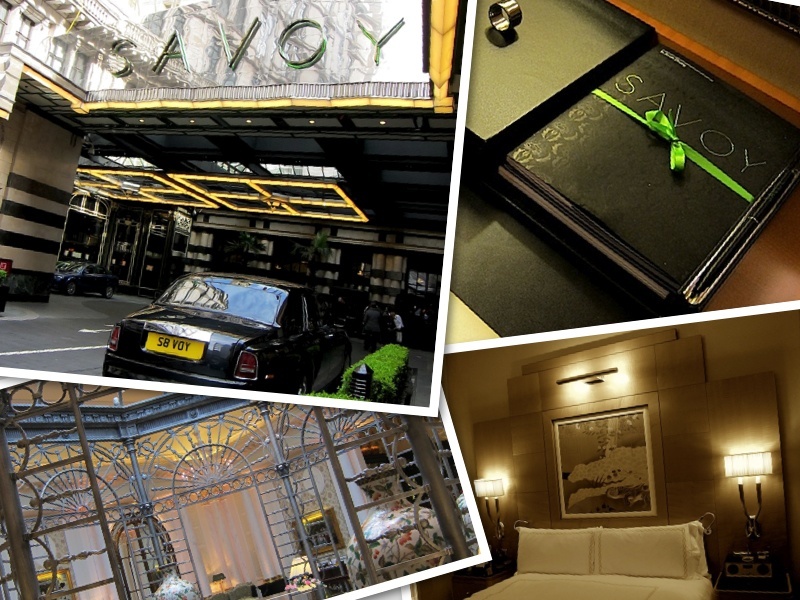 But the fact that it’s available and that the hotel is even encouraging “staycations” probably means that either the rich are getting richer or maybe the economy is looking up after all! Can’t wait for their French restaurant to open this 2013!